Rely on the unlimited creativity of New Jersey Videography for affordable wedding cinematography. You get outstanding quality, at the reasonable wedding videography prices. Our NJ wedding photographers are among the best in the region. We believe that it’s not about trendy, touched-up images. It’s not even about finding that perfect photo. It’s about capturing that perfect moment — that elusive “moment between moments” that often passes without notice. You’ll be amazed at the comprehensive approach taken by the talented Videographers & Photographers who’ll film your Big Day. Your wedding videographer captures results that are always romantic and emotional, portraying the magic of your wedding day. 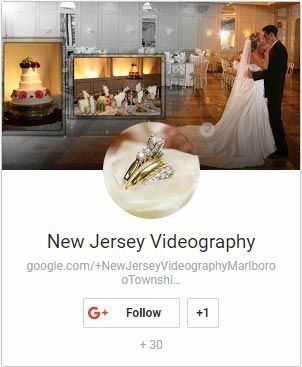 New Jersey Videography’s expert staff unobtrusively documents your special moments as they spontaneously happen. Committing your wedding day’s elegance and beauty to digital film may be the most authentic way to remember it — with wedding cinematography that’s honest and most of all, joyful. Unique filming style, passion and mastery of the latest videography and cinematography techniques have earned New Jersey Videography widespread acclaim. We continue to thrill our growing clientele by showing the true beauty of your special day from a traditional or Indian wedding, Bar and Bat Mitzvahs, Sweet 16/Quiceañeras, anniversary and birthday parties to video commercial production. Wedding videography often is best suited to more low-key weddings where you only need a single camera to capture the purity of your love without cinematic elaborations. Unexpected moments caught in candid video can prove to be outstanding highlights of your wedding day. In the expert hands of an experienced professional, wedding videography can supply you with a true recounting of the day’s events. And you get a high-quality, high-definition recording that you can watch over and over to remember the special day. Wedding cinematography, on the other hand, is most appropriate if you want to create images that highlight the very best shots of your day. Using multiple cameras and special equipment such as booms, lights and cranes, wedding cinematography in the hands of a pro can turn your wedding and its varied angles into a film that can almost pass for an entertaining movie. Tell us what you need. Both wedding videography and wedding cinematography rely on up-to-date digital recording equipment and professional editing processes. The main difference is that one allows the story simply to play out naturally, while the other creates cinematic images that enhance your story and provide an entertaining and illuminating experience for the viewers. Since 1995, founder and president of New Jersey Videography, Alex Perelmuter has been creating the highest quality films and photos for wedding parties and other important events. A seasoned cinematographer in his own right, Alex thrives on taking the beauty and magnificence that is your wedding day and turning it into a tangible memory that lasts. Proud to serve the New Jersey, New York, Pennsylvania and general Tri-State areas with a talented team of videographers and photographers, Alex would love to hear your story. He would be honored to turn your important event into timeless memories. Alex always strives for perfection. To that end, he’s happy to create a video and photo package to suit any budget. Through New Jersey Videography, everyone has access to the highest level of professional wedding videography, photographers and expert wedding cinematography. No matter your budget, Alex will work with you. Outstanding artistry comes in optimal packages starting at $1,995. See the menu of standard and most popular options on the wedding videography packages page.To get in touch with Alex, call 732-986-6332 or email [email protected]. He’ll discuss customized packages that can set your day apart in truly spectacular style. Your wedding videography and photography team captures the best moments of your wedding day, from start to finish. Please take a minute to review some of the superior best quality video produced by the talented team at New Jersey Videography. You can expect the same treatment and quality — for wedding films and still shots from your magnificent day. New Jersey Videography employs talented, experienced videographers and photographers to deliver the same high standards to your New York or New Jersey wedding. 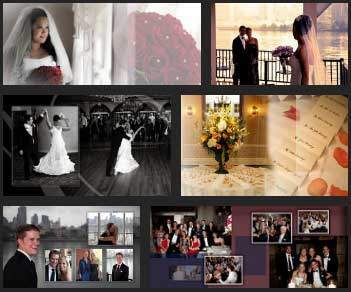 New Jersey Videography is a small boutique studio with the capacity of a much larger studio. Wedding videographers offer exceptional artistic cinematography and high, top quality videography for weddings, events, corporate productions and more in New Jersey, New York, Pennsylvania … throughout the Tri-State area. Get big shop quality with small shop prices. Lock in the best cinematography by calling today for an appointment. Capture the vibrant colors, amazing moments and joyful expressions of friends, family, you and your soulmate. Turn to New Jersey Videography for beautiful storytelling from a passionate filmmaker. The award-winning New Jersey-based studio has mastered the art of capturing beauty and story by balancing talent with technique and delivering just the right mix of drama and joy for your Indian wedding film. The video camera crane dramatically increases the production value and cinematic properties of a wedding video, while adding to the emotion and excitement of your wedding film. Having a video camera crane at your reception allows the video team to capture some amazing footage that’s on par with a Hollywood movie. If you want to your wedding video to be really special, add this option to your package; you won’t be sorry when you see the extra level of quality. The video camera crane also can be used at your ceremony and even at pre-wedding events. The entertaining and valuable Same Day Edit upgrade can really add to your reception festivities. The service includes top-quality editing, complete with the creative and artistic features, delivered with the wedding film. And it’s completed on-location so that you can show it at your reception, delivering an extra-special treat to all in attendance. This speedy turnaround also allows you to share your wedding with those who may not have been able to attend the ceremony, while you’re still basking in that post-ceremony glow. Your New Jersey wedding videographers bring the skill and passion of documenting the celebration of a special and significant day to a Bar or Bat Mitzvah video or film. With many years of experience, enthusiasm and love of photography and videography, your New Jersey Videography team works for you to give you cherished memories of your child’s Bar or Bat Mitzvah, memories you can keep for a lifetime. Your daughter only turns 16 once. New Jersey Videography is a company that produces a product you’ll cherish for years to come, capturing and preserving your most treasured memories that always seem to pass too quickly. The full-time professionals are dedicated to providing exceptional customer service. They’ll produce a professional and artistic movie of your daughter’s Quiceañeras using their unique talents, skills and knowledge. Whether you and your spouse are romantic or practical, deciding how to celebrate a wedding anniversary can be exciting, fun and maybe even a little intimidating because you want everything to be perfect. Whether you choose a quiet, private celebration or a large event involving the whole family, remember that the observation of your anniversary is a celebration of your love for one another. Cherish it with a film documenting your love. After weddings, birthday parties are second most popular events for which people hire professional videographers. From toddlers to adults, everyone enjoys seeing themselves on camera at a birthday party. The celebration of a special someone’s birthday always brings family and friends together. Birthday videos make great conversation pieces and capture the special day on film. When you hire a professional, not only is the resulting video a better quality, but it frees you up to enjoy yourself. Video marketing is now affordable for any size company and for any useful purpose. Video means more business and clear internal company communications. Fuel your marketing campaigns with effective and engaging videos that are produced on time and on budget. Create training videos to keep your staff up to date. Hire New Jersey Videography for beautiful, smart marketing videos.